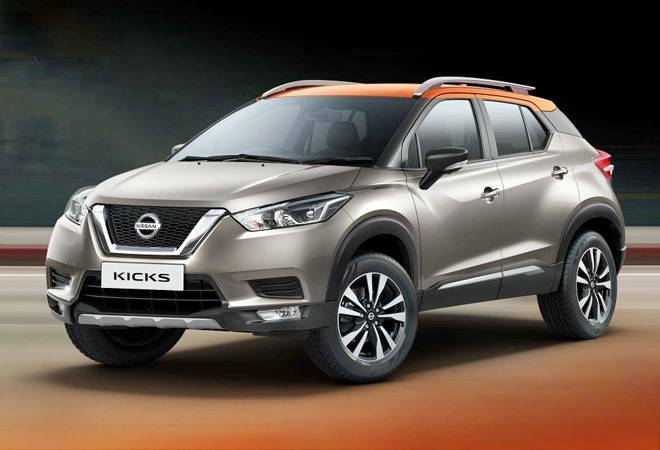 The Nissan Kicks can be booked for a token amount of Rs 25,000. It will reportedly be launched in the country sometime around mid-January next year and deliveries are expected to begin soon after. Nissan has been betting big on its SUV heritage to make a comeback in the Indian markets. In line with this strategy, the Nissan Kicks has been made available for pre-booking in the country. Unveiled in October earlier this year, the new SUV from Nissan could be registered via Nissan dealerships or the company's India website. The Kicks will have the same 1.6-litre petrol and 1.5-litre diesel engines that are available with the Terrano in India. The petrol motor develops 103 PS power, while the diesel engine has two versions with a peak power of 85 PS and 109 PS with corresponding torque figures of 200 NM and 245 NM, respectively. The international version of the car is based on the modular V-platform, equipped with the same 1.6-litre petrol motor which is tuned differently to deliver a peak power of 125PS. There is also a smaller 1.4-litre petrol motor available in China. The Nissan Kicks features a host of established design signatures and features like floating roof design created by blacked out pillars with roof rail and signature LED day time running lights, shark fin antenna, front fog lamps and door mounted ORVM with indicators. The car runs on 17-inch five-spoke machined-alloy wheels. The interiors feature a dual-tone colour scheme with an 8-inch floating infotainment system featuring Android Auto and Apple CarPlay. Upon launch the Nissan Kicks will take on crowd favourite Hyundai Creta. While the Kicks is longer and wider than Creta, the former falls short by 9mm in the ground clearance department. Meanwhile, Nissan is also planning to hike prices of its models in India by up to four per cent. The company has decided to hike prices to pass on the impact of increasing global commodity costs and fluctuations in foreign exchange rates. The price hike will come into effect from January 1, 2019. Of late, auto manufacturers across the board have been increasing prices owing to similar reasons. After recent price hikes by Maruti Suzuki, Tata Motors, Toyota, Isuzu and BMW, Honda has announced an increase in car prices today.